I'm loving your springtime looks, Shannon. Great bomber! 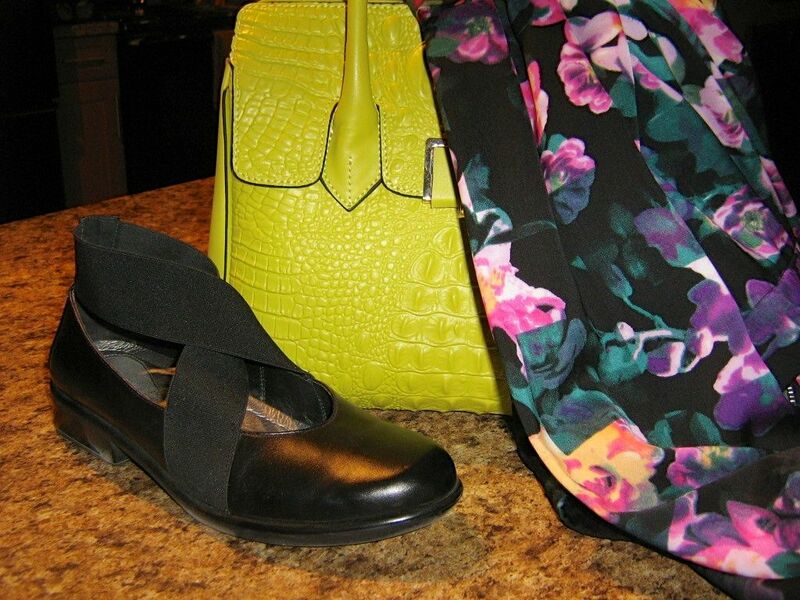 I totally think the citron bag works, in fact I think it adds to the Spring effect. It echoes nature blooming away in all its glorious colour. Perfect! Fab! I am surprised every time I read these shoes are Naot and think I must check them out! And get a floral jacket. Gorgeous! That bag is stunning!!! This is a terrific and fun look on you, Shannon. That bag was the best buy of the year! Looking lovely, Shannon! The floral bomber and shoes add a touch of feminine playfulness (because they are not as serious as a blazer and pumps) that I adore. YLF! This floral bomber is fantastic! And this is a great look. Well done! Great look Shannon... I am hoping to find a floral bomber at some point myself, it really does add some fun to an outfit. This looks so fresh. I saw it was going to 24 there today... WOW!! Citron has to be a neutral. It looks great with anything. I think that EF dress is the same one that a friend has and probably wears 4-5 times a week. 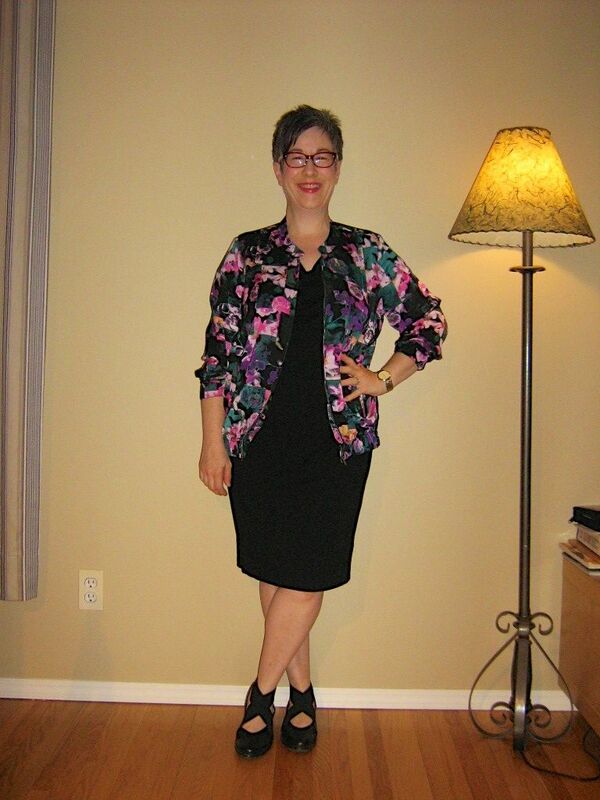 The beautiful floral jacket gives it a great spring look. YLF. Great look! I love the colors in your floral jacket. Those shoes are great with the straps that cross in front. Dramatic yet simple. That floral bomber is beautiful and it looks fab with your EF dress. I predict a lot of wears for both items! Great look! Love that bomber jacket. Of course it works! You look great, Shannon. And brought a Spring smile to my face. Thank you again ladies - it's funny, when I bought this floral bomber it was quite a wildcard for me. Although I have always loved florals (especially on a dark background), a bomber jacket wasn't quite "me" due to the lack of structure. But I've ended up wearing this item much more than I thought I would so once again - you just never know do you? SUPERB! 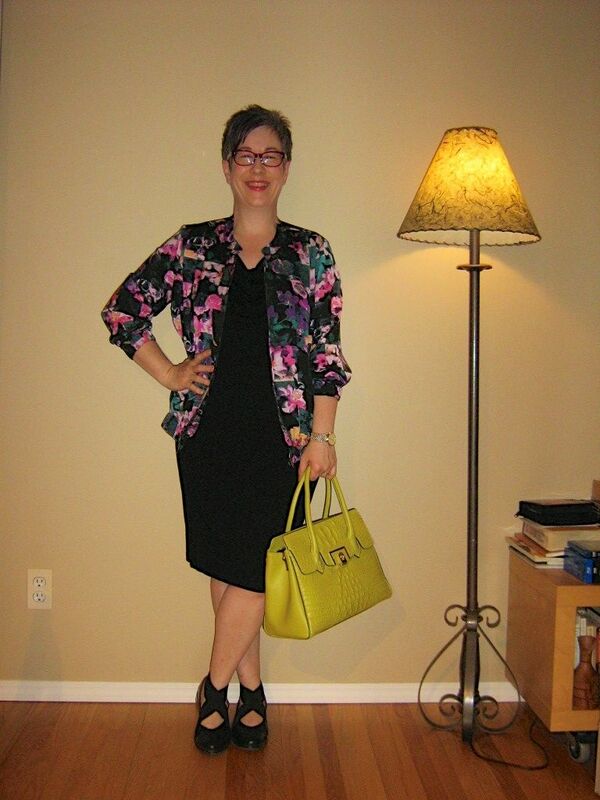 I love that jacket, and the shoes and bag are just fun! Superb outfit! That jacket seems like it was made for you and your coloring!